My recce visit took me to La Mancha Húmeda and the Serranía de Cuenca Natural Park with Pau Lucio Lucio of Birdwatching Spain. For the full story, have a look at the recce report, here. There was a lot to enjoy that would appeal to Honeyguiders. Like most places, spring would be ideal. But there would also be lots to see in autumn, though October would be better than the sometimes chilly November of my recce. Our autumn 2014 programme has just one holiday at the moment, to the French Pyrenees in September. If anyone would like to follow in the footsteps of Don Quixote, Pau, Chris and Dolores, please say, and we could add La Mancha to next autumn's programme. Who was Dolores? You'll have to read the recce report to find out! This was a wonderfully warm autumn holiday, and making the most of it was a surprising amount of wildlife. Our Portuguese guide Domingos was expert at locating life under rocks: a fire salamander, scorpions, snakes, a hefty oscellated lizard with beadwork skin, and on a seaside pistacia bush an exquisite little Mediterranean chameleon. Iberian imperial and Bonelli's eagles were at Castro Verde; best-ever views of Dartford warblers at Monchique; and at Quinta do Lago the purple swamp-hens were luminous. Hundreds of griffon vultures and other raptors massed overhead at Cape St Vincent, realised it was the wrong crossing for Africa, and turned back. 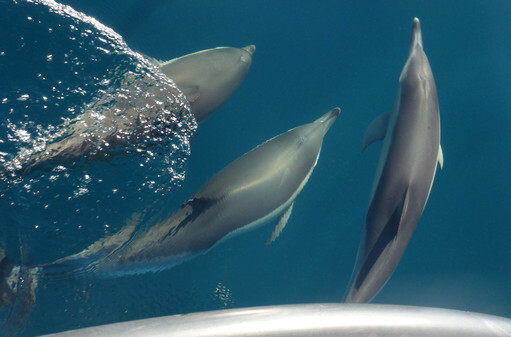 With outriding common dolphins, we rode the rigid inflatable out from Sagres to trawler-fishing waters where gannets, gulls, great and sooty shearwaters and storm petrels glutted on the bounty, harried by piratical great skuas. Stopping to watch great bustards on the Alentejo plains we startled two Iberian hares, pinpointed by the white on their ears. Harder to spot was a bevy of black-bellied sandgrouse. 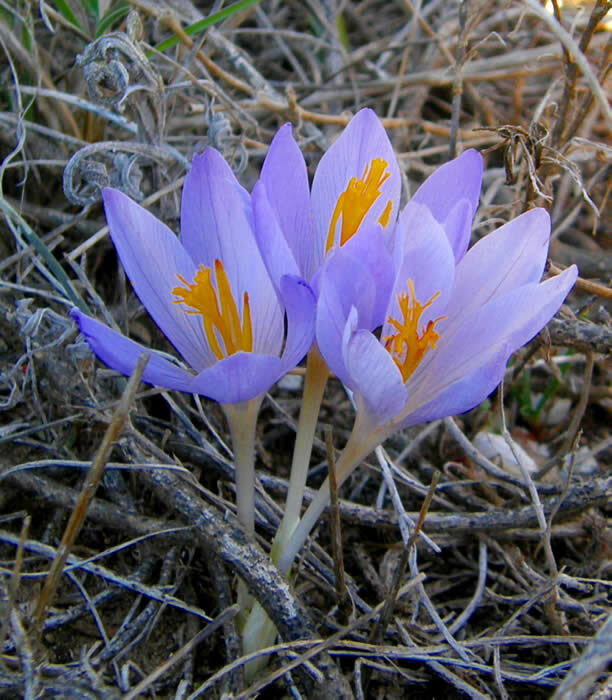 Colchicums bloomed, figs fruited and strawberry trees did both. 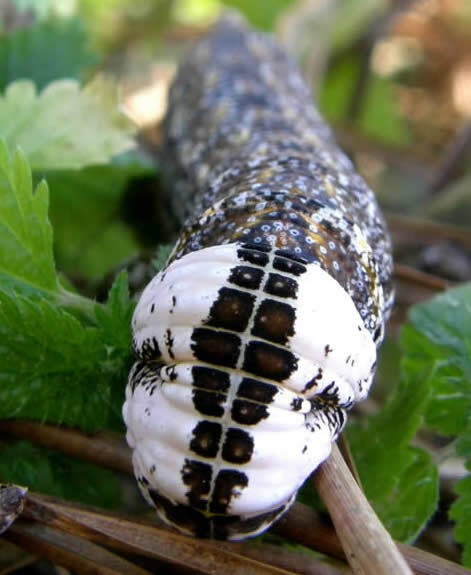 There were spectacular spiders, admirable insects, and a beautiful monster of a death's head hawkmoth caterpillar (brown form, right). We also celebrated a significant birthday for Malcolm (Crowder), made memorable by a special group of Honeyguide friends. Words and photos by Helen Crowder. Holiday report here. SOS Monfragüe: the Government of Extremadura will be damaging Monfragüe National Park by allowing navigation through the rivers that cross it and declassifying some protected areas to allow the circulation of SUV cars. Honeyguiders can protest by signing this online petition. Electric cars are already running now on some trails in Monfragüe, we hear. After a warm welcome by our host, Llorenç, at the charismatically restored old Menorcan farmhouse, Matchani Gran, we soon settled into the relaxed pace of life on Menorca. When we first arrived it was a warm lunchtime and we were presented with a shaded table heaving with food. This was the first of many memorable meals consumed during the week. Our leader Chris Gibson knows the island inside out, and took us to some very special spots, where we saw wildlife in the widest sense of the word. Of the larger birds, booted eagles (‘booties’) were seen every day, and less commonly, Egyptian vultures and an osprey which memorably circled and displayed clearly right in front of us. Our eyes were opened to some fantastic bugs and beasties, and a first for us – bat spotting under the night sky (including great views of the Milky Way) with Chris’s bat detector. A walk down the Algendar Gorge produced a further surprise – a sumptuous barbecue prepared by Llorenç on the terrace of his father’s farmhouse in an idyllic location in the middle of the gorge. Scarlet darter; the drive at Matchani Gran; merendera (Menorca, October 2013). 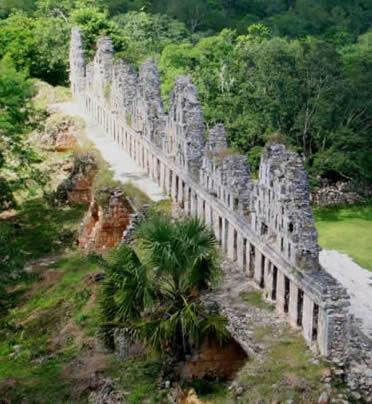 Other highlights of many were a cruise around Mahón harbour in a glass-bottomed boat; sightings of sand and autumn daffodils and merendera crocus (scarce this year due to the dry hot summer); seeing autumn migration ‘in action’; millennia-old historical sites; and the rugged landscape of the north coast of the island. All in all, a fabulous relaxing week, spent in the company of a really friendly group, fired by the enthusiasm and all-round knowledge of our patient leader. Words and photos by David Bennett; photos by David on Flickr here. Holiday report here. Montse Bau of GOB Menorca came to speak to our group about the extensive conservation efforts by GOB on the island. On behalf of Honeyguide, Chris was able to hand her Honeyguide’s donation of £580 / €650 towards GOB’s work. 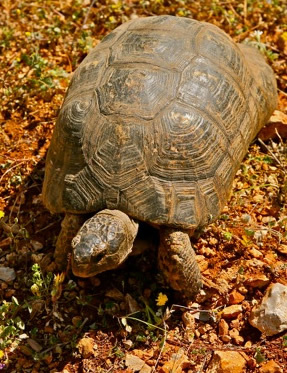 GOB is concerned about out-of scale road improvement on Menorca’s main road. 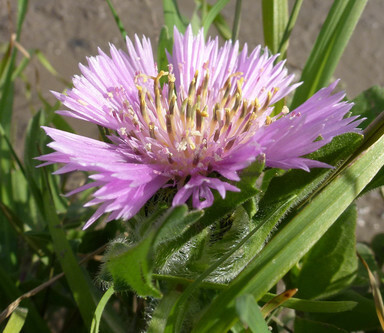 Read more, and how to help, on our Menorca conservation page. Honeyguide's letter to the authorities on Menorca is here. Honeyguide Wildlife Holidays has been entered into the World Responsible Tourism Awards 2013. We are one of 14 short-listed in the category 'Best for Responsible Wildlife Experiences' (short-list here). Update, 6 November: we didn't win, but we our proud to have been short-listed. 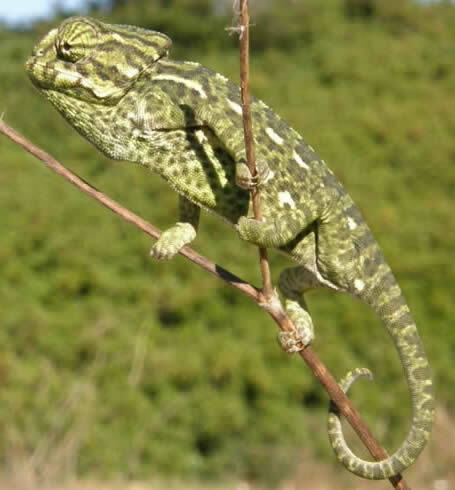 We are looking at a way of bringing back our Languedoc holiday (click on that link to be reminded of the area's wildlife, scenic and historical attractions). We'd stay at www.auxventsdangesdesaintjean.com with a Honeyguider living in France taking charge of catering. Next step is finding out if Honeyguiders are tempted by this idea for the spring of 2014 or 2015 — please contact us. What's a Kalahari Ferrari? The picture above reveals the answer, as four intrepid Honeyguiders discovered in Namibia in September, on tour with Geoff Crane. There's a two-page summary here, words & photos by John Croft. [Full report here - added November 2013.] 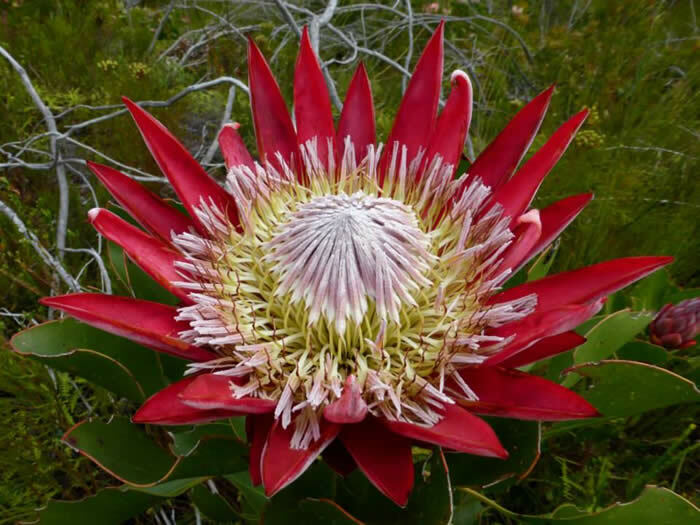 Your South Africa is a good starting point for anyone who'd like to plan their own holiday in the region, or join us in the Drakensberg Mountains and Zululand. 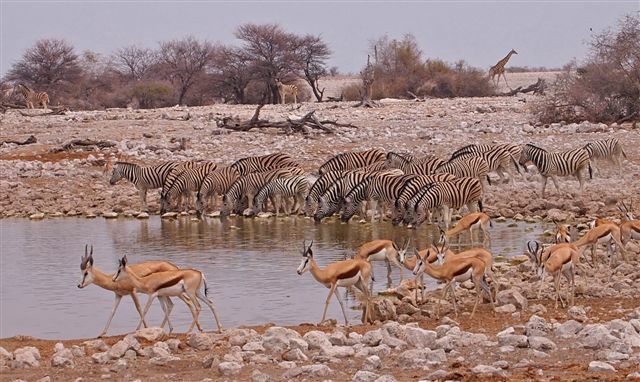 Namibia, September 2013: flamingos; sociable weavers' nests; waterhole with zebras and impala (John Croft). 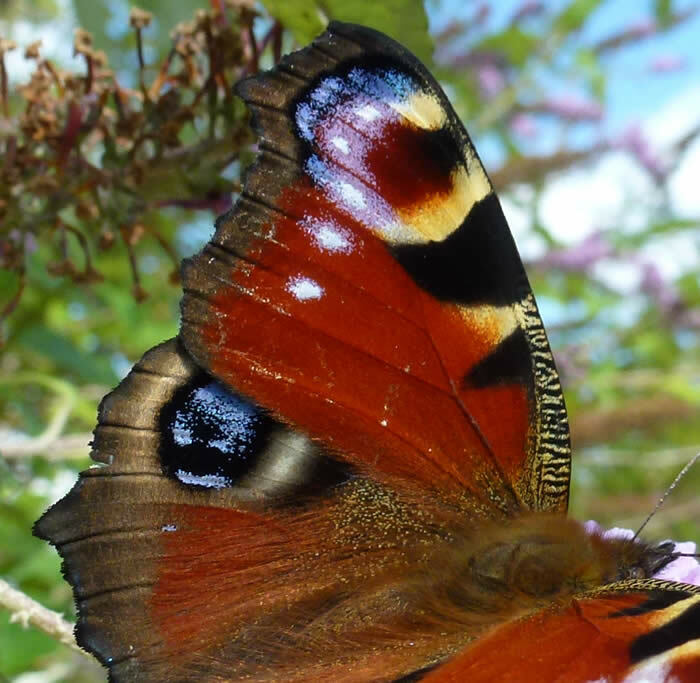 I have been reminded about how little I know about British butterflies — or perhaps have once read and forgotten — by an excellent five-hour double-DVD called Patrick's Barkham's Guide to British Butterflies. 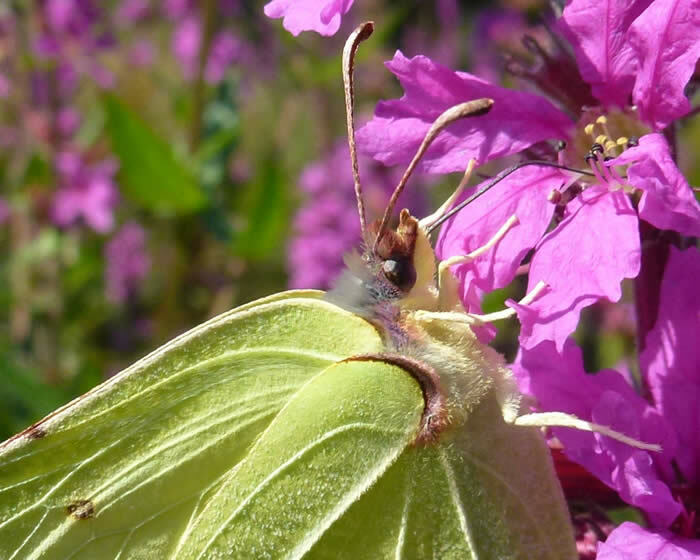 It's produced by Bill Smith, who has had a lifelong interest in butterflies alongside a long career as a television producer and cameraman for both BBC and ITV. 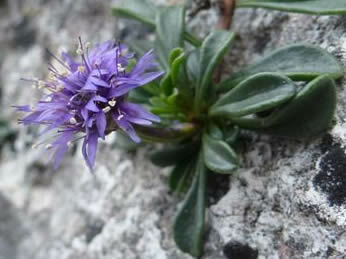 Bill's 'almost' a Honeyguider having planned to join a group in the Cévennes that then didn't run — but he went anyway. 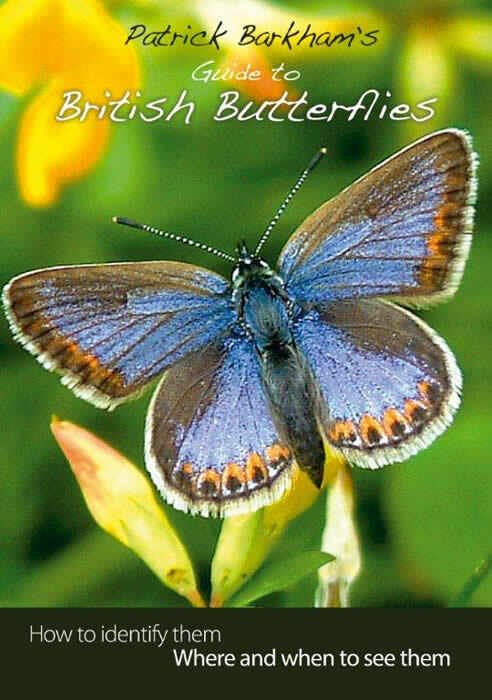 Bill spent two years filming all the UK's butterfly species and working with Patrick, author of 'The Butterfly Isles', to make the DVD. Peacock wing, comma, brimstone close-up, small tortoiseshell on reed. Four from 'some Norfolk invertebrates' August 2013 photo set on Honeyguide's Facebook page. We'd like to float a couple of ideas for the future. 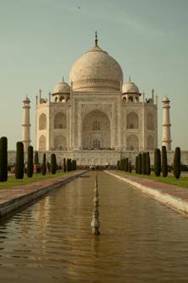 Does anyone in the Honeyguide network know India? 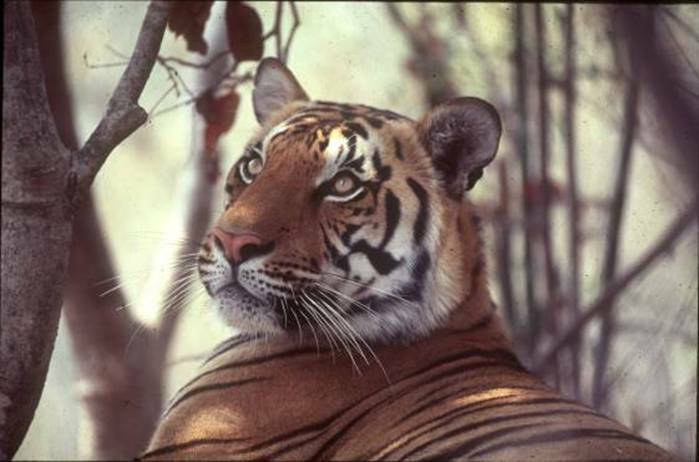 We are looking into a holiday in the Delhi area for January 2015, including tigers, Taj Mahal and Bharatpur. 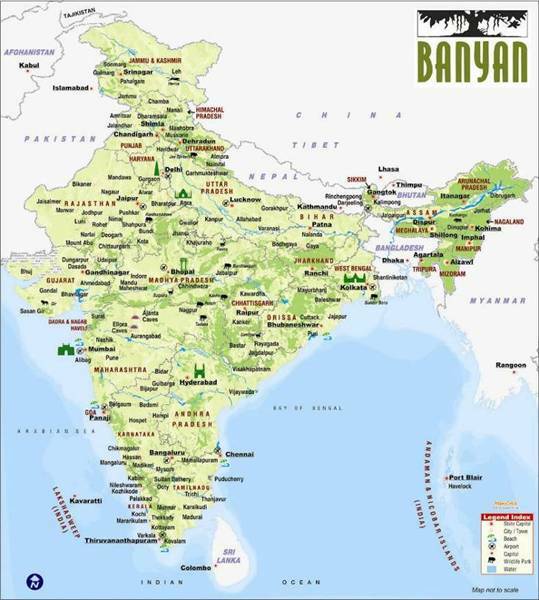 It will help to have advice from someone who knows the country and you can look at the draft India itinerary to suggest what may or may not work well for us. It would also be great to know if the idea we're working on appeals to you. A sketching/painting holiday? On several occasions on Honeyguide holidays, it's been a great pleasure to see group members take time out to sketch or paint. 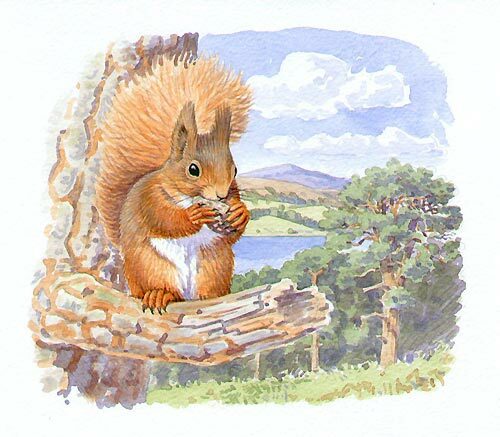 Wildlife artist Richard Allen www.richardallenillustrator.com and I are wondering if there's scope for a holiday for a group of budding wildlife artists, with some expert guidance on hand. Most of our destinations lend themselves to a quiet week of art based on wildlife and landscape. If the idea proved popular, it could move around our regular holiday bases. It would be really good to hear from anyone who likes this idea, and also to have your thoughts on how it could work well for you. 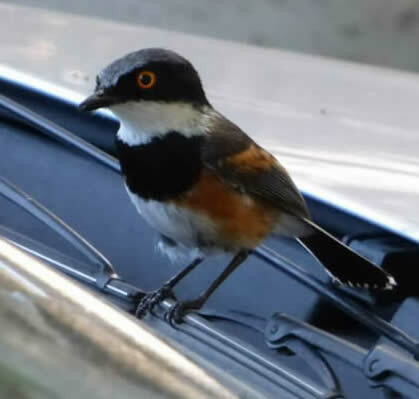 News from three regular destinations that may strike a chord with some who have travelled with Honeyguide. In Extremadura, the turn into our base at Finca Santa Marta has long been marked by dead eucalyptus trees with storks' nests. The most distinctive of these (right) fell down last winter. 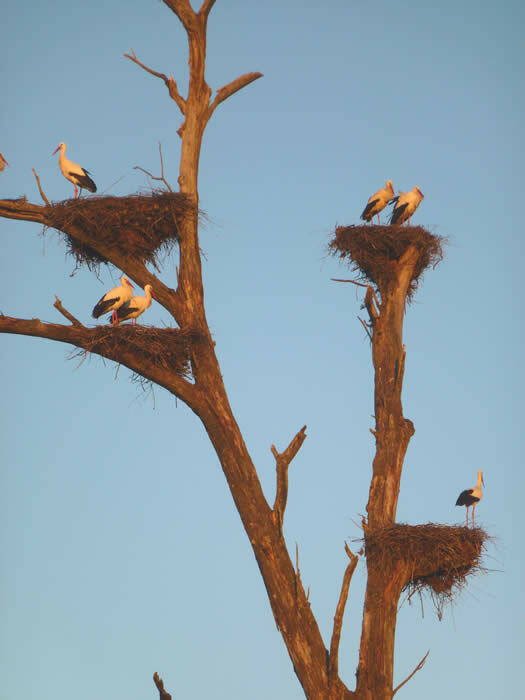 There are still trees and storks' nests there so it's no disaster, more a modest change in the landscape. In Crete, for several years we saw Cretan wild goats – or kri-kri – with the help of Aristotelis at the café at the top of the Samaria Gorge. I asked after him in April, and found that he'd retired. Without his unerring ability to find distant kri-kri on the vast mountain-side, we didn't see them this year. 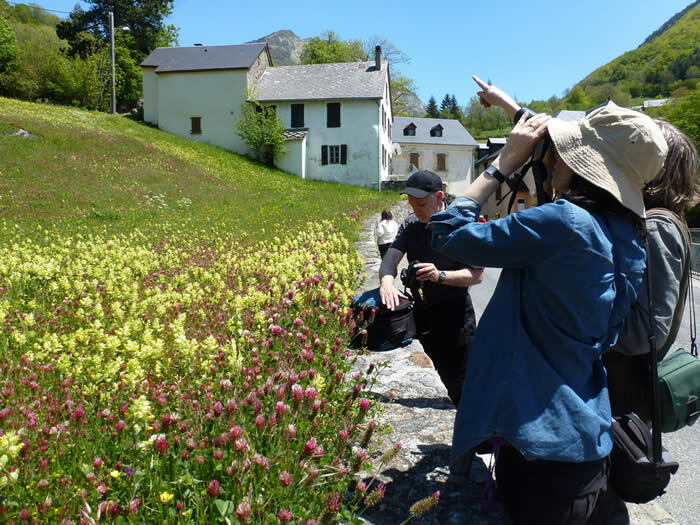 For more than a decade, Honeyguide groups in the Dordogne have visited the caves at Font de Gaume at Les Eyzies and marvelled at the awe-inspiring paintings of bison and reindeer. It's always felt like a privilege, and after our first visit, in 2001, I wrote in the holiday report, "One wonders how long it will be before access is restricted". Well, now it has been. We plan to include some pre-history in our Dordogne holiday itinerary in 2014, but can no longer be sure it will be Font de Gaume. Aristotelis, who found the kri kri for us in Crete (Phil Brew); reindeer painting, Font de Gaume, as featured on many a fridge magnet. Hungary, June 2013: Helen Crowder writes: From our comfortable base at Kondor Tanya, situated in the Kiskunság National Park between the rivers Tisza and Danube, we were ideally placed for exploring the typical landscape of puzsta (open plains), lakes, marshes, wet forest and dunes comprising the protected area. 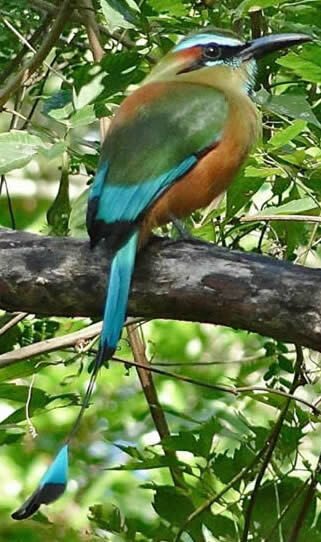 Flamboyant bee-eaters, golden orioles and rollers – "not another roller!" 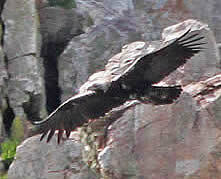 – were seen or heard nearly every day and white-tailed eagles seen on three occasions, one being mobbed by a buzzard. Little bitterns and Savi's warbler showed themselves well and we were treated to a boat trip on Lake Kolon where multitudes of marsh terns were nesting. Continued, right. In the Danube Delta, Honeyguide leader Russell Leavett tells me that one evening the moored pontoon was close to a mixed breeding colony of egrets, pygmy cormorants, spoonbills and glossy ibises, and the group watched an amazing, continuous performance as the birds moved from feeding areas to their nests. 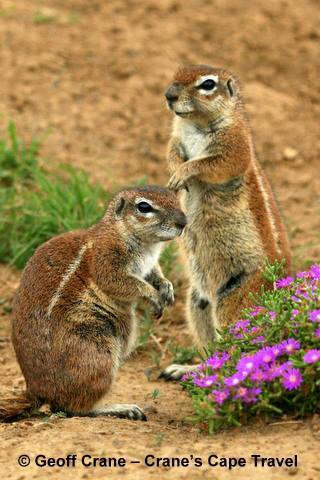 In Dobrogea, the land-based part of the holiday, susliks (ground squirrels) attracted hunting long-legged buzzards and also ground-nesting Isabelline wheatears, using the suslik burrows. Other highlights included excellent views of black woodpecker, pratincoles hawking insects overhead and large numbers of rollers and cuckoos. French Pyrenees: snow in late May, before we arrived, meant the season was running about a month late and four of our usual routes were blocked. 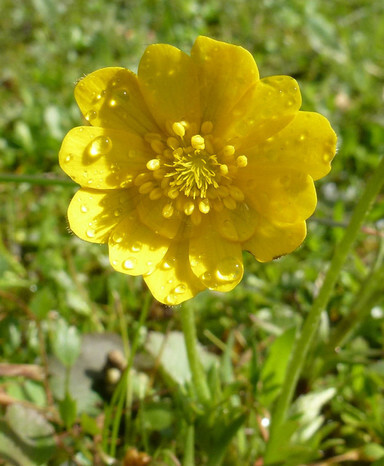 But the meadows round Gèdre were gorgeous and in higher pastures we enjoyed spring rather than summer flowers: gentians, primulas, snowbells and daffodils. It was a little thin on butterflies (Camberwell beauty showed well, though) but there were plenty of birds, including alpine choughs, snowfinches, black woodpecker, daily lammergeiers and rock bunting (right). 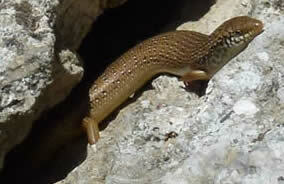 There were lots of marmots and close views of Pyrenean brook newt. On the return, French air traffic control industrial action meant an eight hour delay at Lourdes: others had flights cancelled so in some ways we were the lucky ones. Marmot, daffodils, snowbell, crimson clover & yellow rattle in Gèdre. 4 — 11 October 2013. The change is because airlines schedules aren't quite as we expected when we fixed the initial date in the summer of 2012. Latvia recce: Rob Macklin and I visited various areas west of Riga in the third week of May with Karlis from Baltic Wildlife. Latvia is interesting and potentially a good venue for birdwatching, especially: our visit was timed for a combination of migration and recently arrived migrants in full song. It's a curious mixture of eastern (like Poland), northern and continental. One morning, more than 100 honey buzzards came through, plus lots of yellow wagtails, orioles, red-backed shrikes and lesser spotted eagles: marshes had river warbler, white-tailed eagle and cranes. Recce report is in prep. 'Lifers' for me: citrine wagtail, capercaillie and my first decent view of white-backed woodpecker. A stroke of luck in Latvia: a female capercaillie sunning herself one morning, on some sand at the base of a roadside telegraph pole. She slowly moved away, in her own time, and was close enough to photograph with a compact camera. 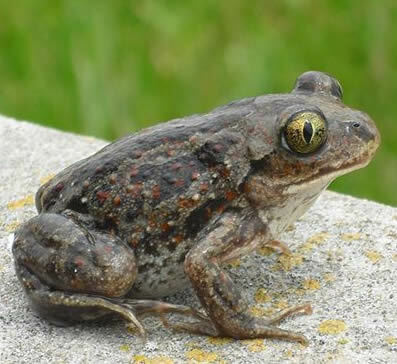 The Dordogne: the weather was a bit mixed for the 'private' group there in May, but the wildlife was still good with nightingale, orioles and melodious warbler singing close to home, butterflies on the brighter days and midwife toad. Of the 25 orchid species, one was new to this holiday: the mostly Mediterranean yellow bee orchid (right). Glanville fritillary, underside; lady orchid; small elephant hawkmoth. Lots more photos on Honeyguide's Facebook page. Our Dordogne web pages are in the archive section: the holiday should be back in the main programme in 2014. Images of Istria: a small selection of photos taken by Honeyguider Steve Kourik during our May holiday. 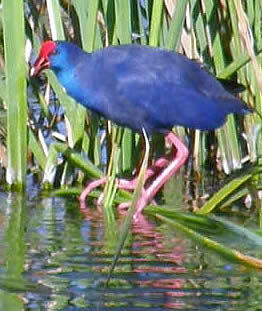 More from Steve here or view them on Honeyguide's Facebook pages. Top: purple heron, amphitheatre at Pula, wild peonies. Bottom: green lizards. 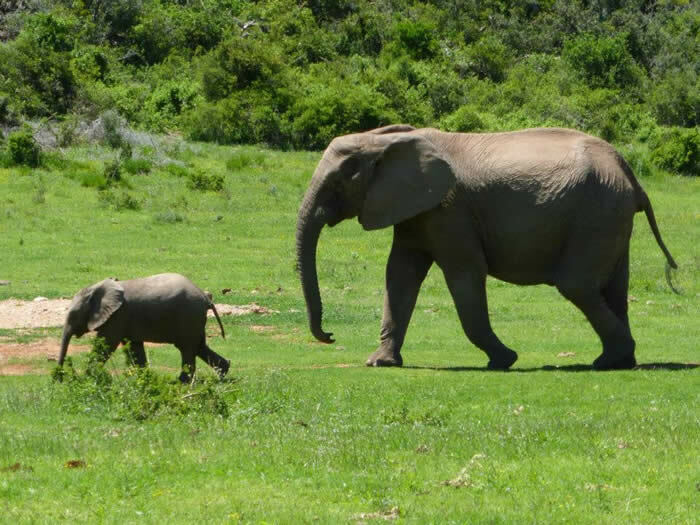 South Africa's Garden Route and Addo Elephant National Park: there's a taste of what's in store for the two week Honeyguide holidays to the Garden Route and Addo Elephant National Park in November 2013 in a set of photos Geoff Crane has put on Facebook here. More on the holiday here, and a few of Geoff's photos below and right. 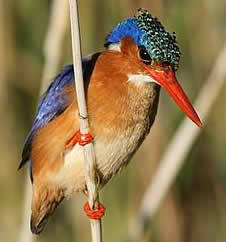 Malachite kingfisher, ground squirrels, Knysna turaco. Crete in April was mostly dry, but very windy, though that eased off during the week, which helped bring a good flow of migrant birds. 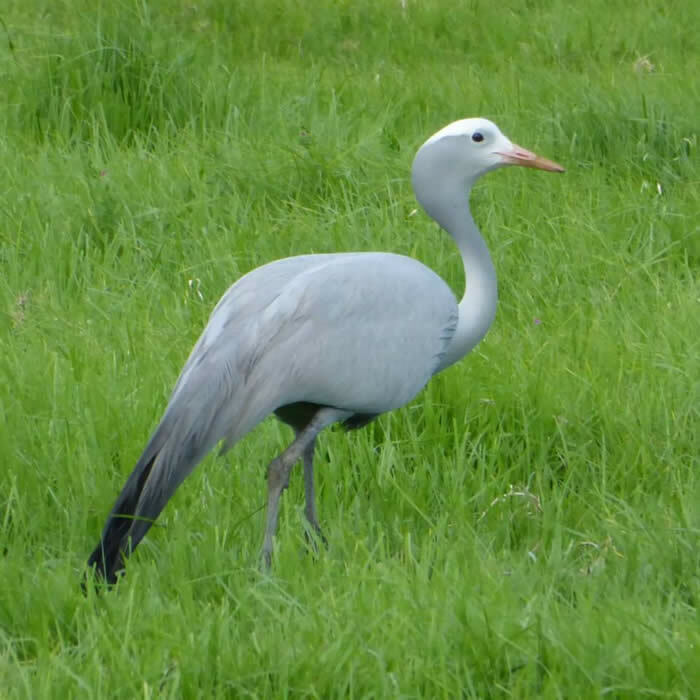 These included crakes and other wetland birds at Ayia reservoir, plus flycatchers, turtle doves, golden orioles and groups of herons on the south coast. Montagu's harriers kept popping up and wood sandpipers seemed to be everywhere. 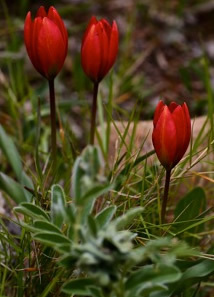 The scenery and flower-rich landscape was striking, as ever, and a highlight was a lammergeier over tulip fields on Omalos plateau. Wood sandpiper by the bridge in Plakias; shield bugs Graphosoma italicum on seeds of Mediterranean hartwort (more red & black bugs here); bishop's ophrys Ophrys episcopalis at 'Spili bumps', as orchid-rich as ever (more Crete orchids here). Photos on Facebook from Brennan Aunger and Chris Durdin from Honeyguide; and Tim Strudwick's (invertebrates, especially) on Flickr. 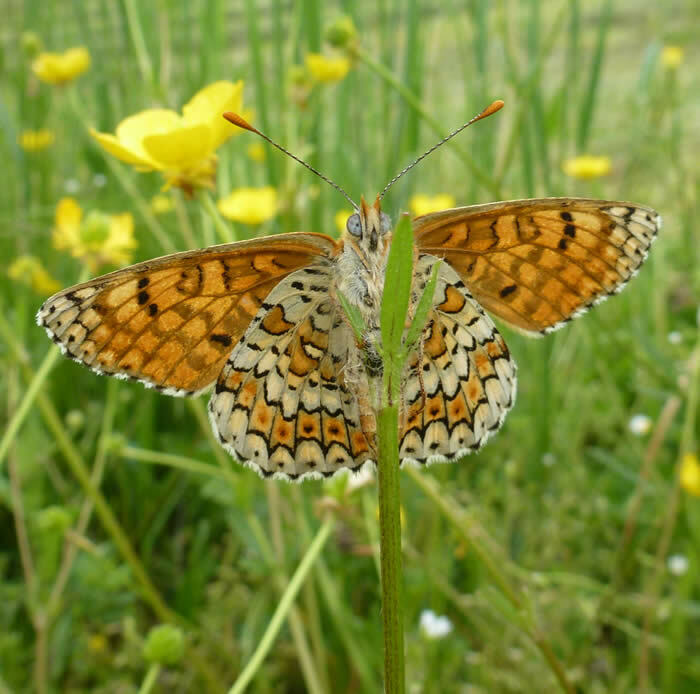 Languedoc: lesser kestrels, snakeshead fritillaries & red-rumped swallows (John Rumpus). 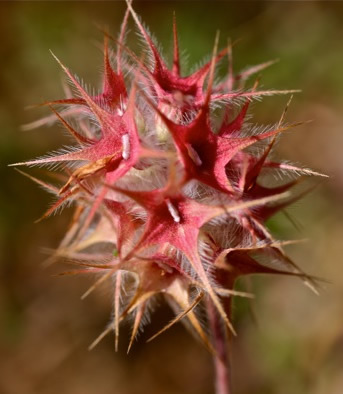 The Peloponnese group has returned enthused with the hospitality of this corner of 'real Greece', and with tales of a host of wildlife sightings, including tortoises, cyclamen, rock nuthatches, tulips, trapdoor spiders and sheets of colourful flowers (holiday report here). Group member Phil Brew took some cracking photos - here (and a small selection below): some IDs are still work in progress. We've also had a private group in the Spanish Pyrenees during April (holiday report here); and above are a few photos from our first group in Languedoc. Extremadura: we all know that 'The rain in Spain stays mainly in the plain' was guidance on diction, not weather, but it still came to mind on the holiday in Extremadura in late March. We were grateful for three fully dry days, though they were unusually cool, and shorts and short-sleeved shirts came home unworn. 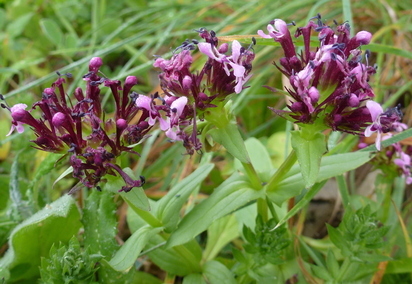 There was plenty to see, though, with the wet conditions producing a terrific growth of flowers. Highlights included displaying booted eagles close to Finca Santa Marta and a Spanish imperial eagle tussling and locking talons with a griffon vulture. Holiday report here. Sawfly orchid, Spanish imperial eagle (by John Croft) and yellow anemone. 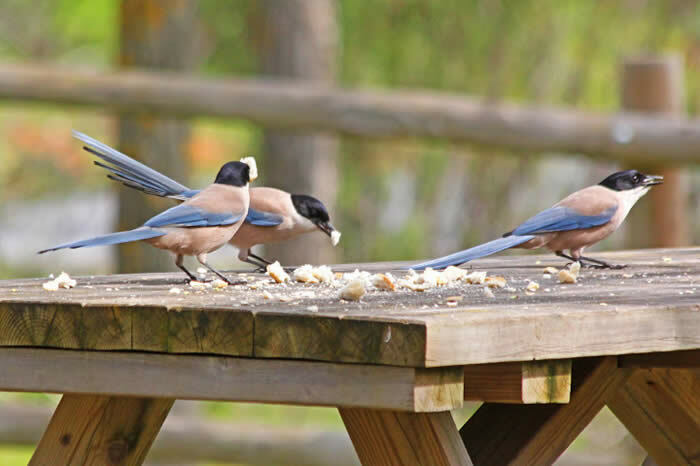 Right: azure-winged magpies (John Croft) tidy picnic crumbs. Extremadura, March 2013. Change to Hungary dates: this holiday will now be 2 — 9 June 2013, Sunday to Sunday, one day earlier than in the brochure. There are still places available on the holiday: full details on our Hungary pages. 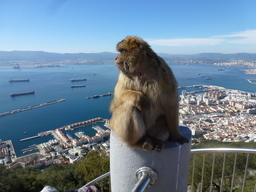 Common dolphins; Cetti's warbler after ringing; Barbary macaque — all from our Tarifa & Gibraltar holiday, February 2013. More photos on Facebook. On our recent Tarifa & Gibraltar holiday, we left and returned to wintry weather in the UK, suggesting February was a good time to go away. We struck lucky with dry weather nearly all week, sometimes cool but also warm enough for shorts on a couple of days. 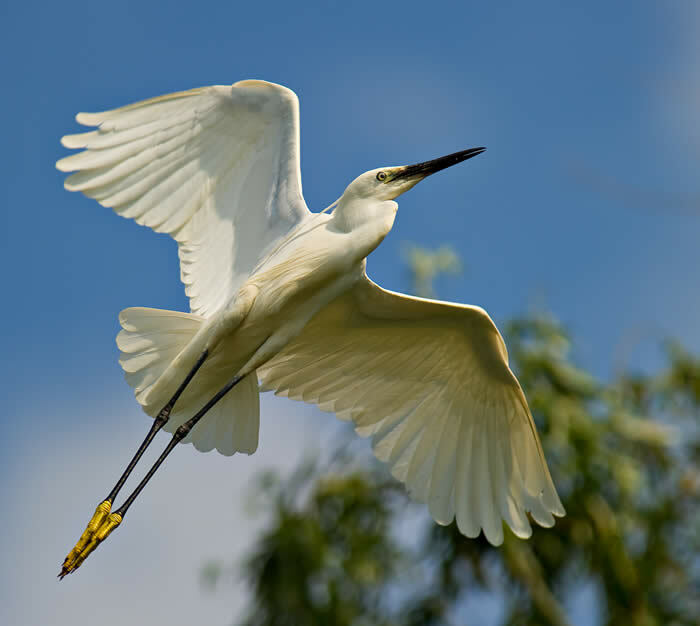 Migrant groups of white storks, black kites, swallows and martins were moving, and there were flowers, butterflies and lizards responding to early spring in southern Spain. Highlights included dolphins by a boat trip out of Gibraltar, slender-billed gulls, white-headed ducks and black-shouldered kites. 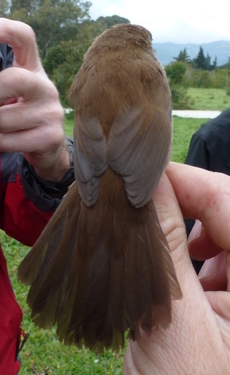 Our first conservation donation of the year was 620 euros to local ringing group GOES. Full holiday report here. 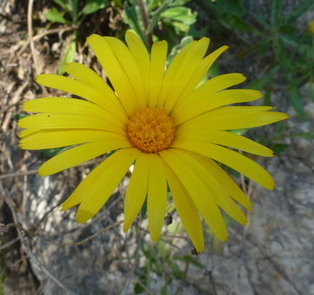 Some flowers from Tarifa/Gibraltar: rock marigold Calendula suffruticosa, Centaurea pullata, mandrake, Fedia cornucopae. Holiday insurance: if you are looking for holiday insurance, Honeyguide is Introducer Appointed Representative for Global Travel Insurance Services Ltd. While we cannot give advice on insurance, we have chosen to work with Global Travel as we think they offer good advice and insurance products suitable for Honeyguiders. More information on our booking page. Lagoa dos Salgados in Algarve (Pêra Marsh) is far from safe, but two recent steps can only help. 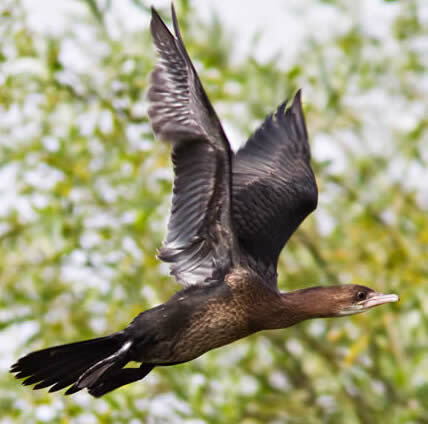 On 10 January, Friends of Lagoa dos Salgados, including Portugal BirdLife partner SPEA, presented to the Ministry of Agriculture in Lisbon a petition with more than 20,000 signatures — including many Honeyguiders — calling for the wetland to be recognised as part of the Natura 2000 network of areas of European importance, which to date has been refused. The Secretary of State for the Environment has decided that the tourist development project planned next to the Lagoa dos Salgados is suspended and will be subject to an environmental impact assessment (EIA). 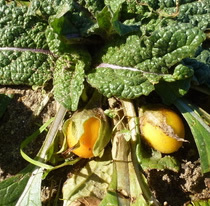 More in Algarve Daily News and on SPEA's website, and see also our story in July 2012 (below). SPEA conservation officer and Honeyguide leader Domingos Leitão was prominent in Portuguese media and in the video on SPEA's website: he's in the multi-coloured hooped jumper. We will be visiting Lagoa dos Salgados on our Algarve & Alentejo holiday this autumn. 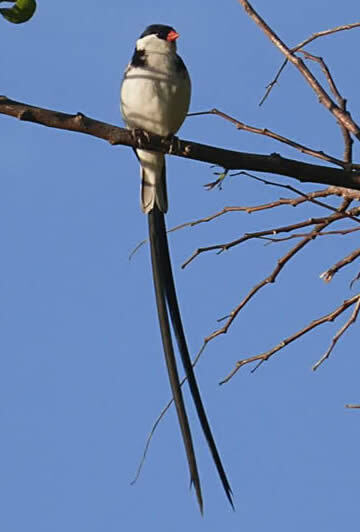 Turquoise-browed motmot; ancient Maya city of Uxmal; dark kite swallowtails, greater flamingos at Rio Lagartos; spider monkeys. Our host in Hungary, Gábor Orban, with his partner Andrea, has an interesting life and work running Ecotours. 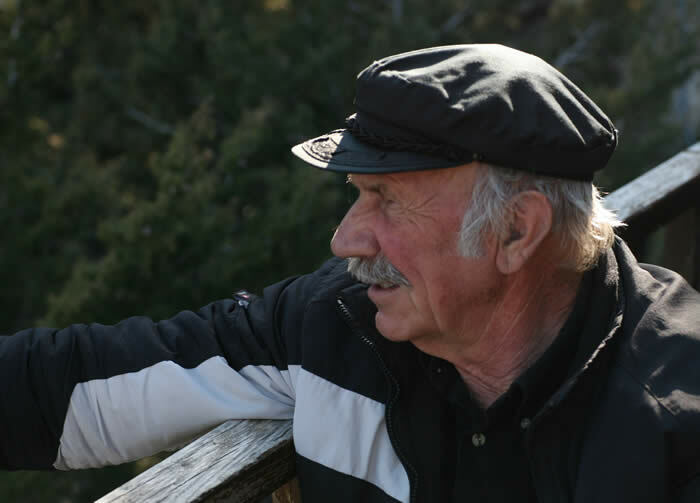 In our spring and summer, he is in Hungary and other parts of eastern Europe, leading holidays or running Kondor Lodge in Kiskunság National Park. When they are back there in the spring, they will have a showroom for Swarovski binoculars and telescopes, ideal with their rich natural surroundings. They'll also be busy putting up nesting platforms for saker falcons and 50-100 new roller nestboxes. More, right. Updated by Chris Durdin, 11 January 2013. Two special 'herptiles' from the French Pyrenees. More here. LA MANCHA photos — and many more on Facebook. 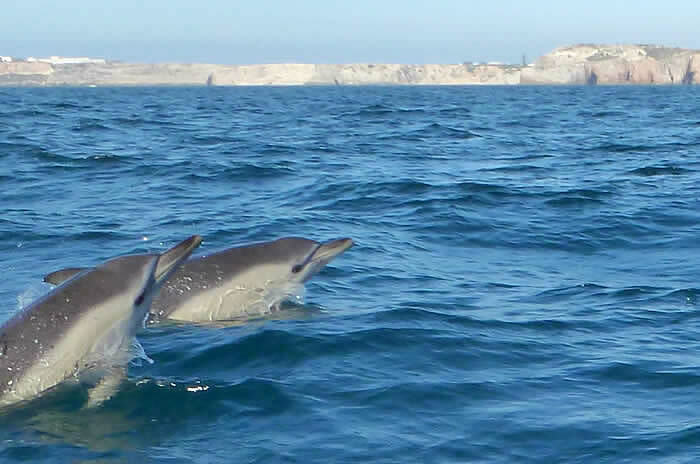 Common dolphins with the boat on the Algarve group's pelagic trip. Colchicum autumnale; purple swamp-hen. This attractive print was created by wildlife artist Peter Partington as a souvenir of the Camargue holiday in May 2013, of which he was a group member. See it bigger here. The A3 sized prints raised £130 for the Honeyguide Wildlife Charitable Trust. It also featured on the cover of the 2013 holiday report. How many pairs of Bonelli's eagles are there in France? 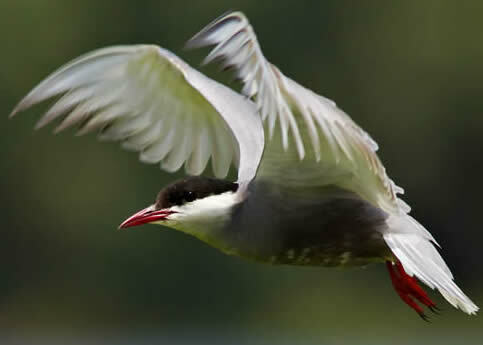 A good way to find out and to keep up with bird news from France is Ken Hall's LPO UK News. Ken has also given Honeyguide a nice plug, as we have three holidays in France in 2014 (Dordogne, Cévennes and French Pyrenees), and conservation donations from these all support LPO. 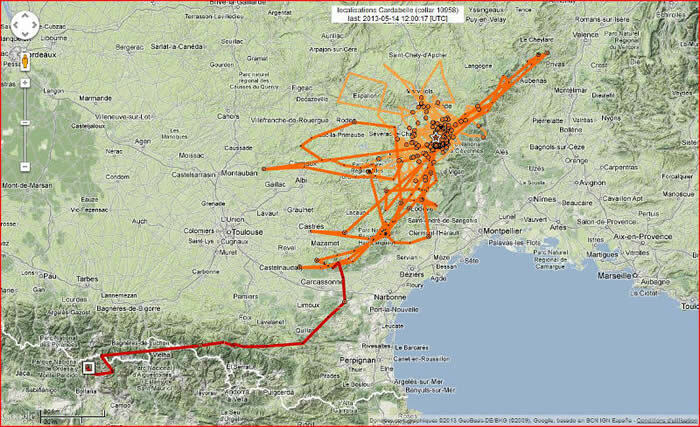 Honeyguide's donations to LPO have supported a female lammergeier, Cardabelle, released in the Cévennes. A map on the LPO UK news website shows she moved around the Cévennes, through Languedoc and onto the Pyrenees. Chris Gibson on Menorca. Can anyone improve on David Bennett's picture caption of 'Hail O Master'? Shevaun Mendelsohn suggests: "Hurry up and find my contact lenses - I hate wearing glasses!" 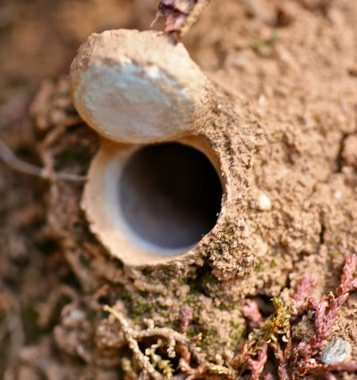 Chris G adds: "Athlete's foot fungus is wildlife too ..."
The Honeyguide brochure 2014 is out. If it hasn't please contact us! Dates for 2014: see our calendar. Central Portugal is one day later than in the brochure, and ten are booked already. The Honeyguide brochure was printed on recycled paper — as it always has been. This year, through our friends at Gowise Print, it contributes to native woodland creation through 'Woodland Carbon' — certificate here. 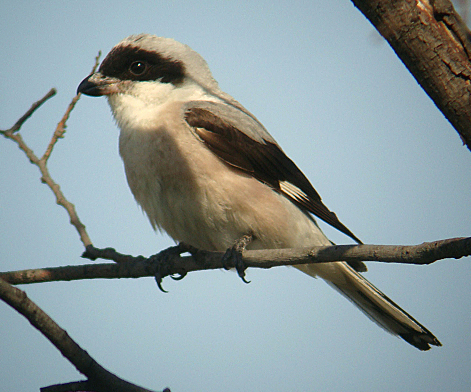 Our 2014 Languedoc group supported LPO work to monitor and protect scarce breeding birds in the region, especially Bonelli's eagles and lesser grey shrikes (photo: Daniel Bastaja, Wikipedia). 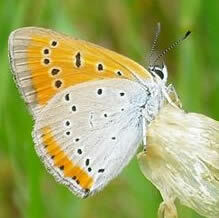 The LPO group in Hérault reports that 18 pairs bred this year in France, all in Languedoc-Roussillon. This total is line with the numbers recorded over the past few years, so they seem to be holding their own. Despite some dreadful weather in the early part of the season, causing three nests to fail, 54 young birds fledged this year. 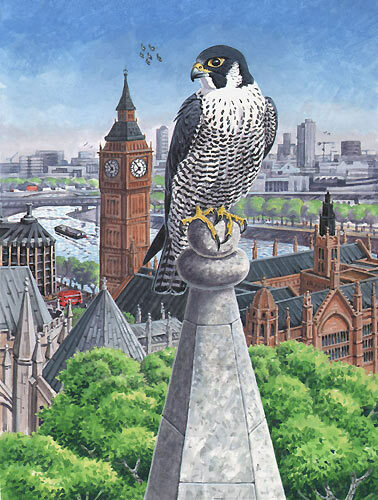 By Richard Allen: above, red squirrel; below, London peregrine. Our annual carbon credits purchase supports reforestation in Kibale National Park in western Uganda for a second year. It's surprisingly difficult to find projects that combine carbon offsets with clear wildlife gains, which this does. Read more, and about our new project in Kenya, on our Carbon Credits web page. One Honeyguider, Margaret Dixey, visited Kibale when her daughter was working on a VSO programme in Uganda. Margaret says, "I am thrilled Honeyguide has chosen to support Kibale. 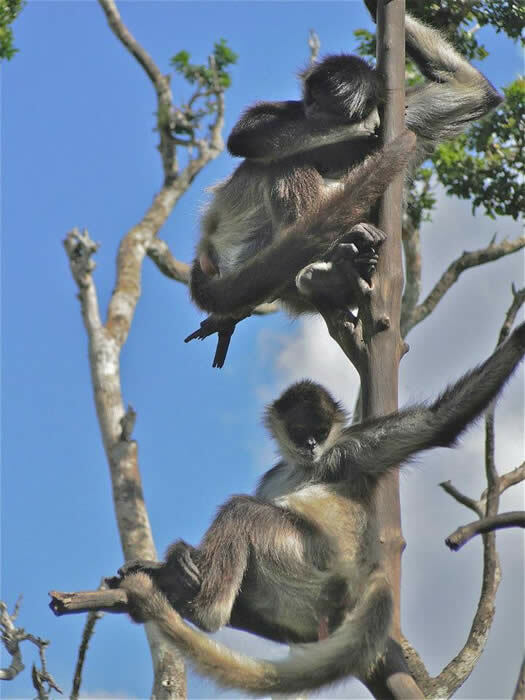 I was very impressed with the work there, particularly the programme for chimpanzees and was very excited to see a family of chimps during a guided walk there." White stork nests at Finca Santa Marta, February 2012. Holidays in autumn 2013: the Algarve & Alentejo holiday in November is now fully booked. There are still places for Menorca, Madeira and South Africa's Garden Route. 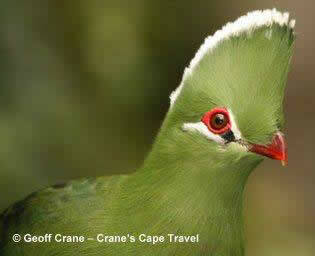 Check out dates and availablity on holidays on our calendar web page, or contact the Honeyguide office. Superb promotional video for the Spanish Pyrenees here. "Keep your passport fresh" says the i's Travel Correspondent Simon Calder. More here. 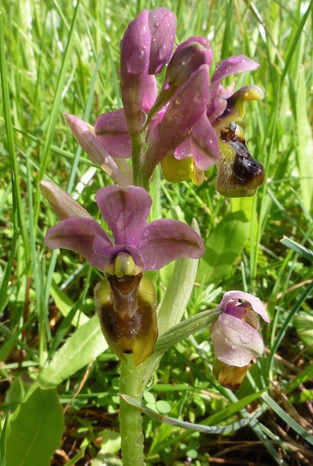 Lesvos orchids: Brian and Eileen Anderson will be on Lesvos in April 2014 to share their enthusiasm and expertise for the island's orchids. More here. A warm evening produced nightjars just a few hundred yards from our accommodation. 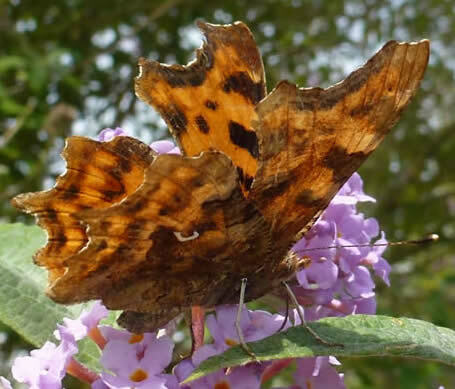 There were some particularly beautiful butterflies too; Queen of Spain fritillaries, one laying eggs on heartsease, cardinals, with their blush on the underwing giving the name (for the red robes of an RC Cardinal), eastern baton blues and chestnut heaths. Our host Gabor's very productive moth trap in the garden added to the mix. Wildlife holidaying might be considered a little unusual in Hungary, but the people we met had a proud respect for their heritage and welcomed our interest. There is much to explore in this species-rich area. A week is just a glimpse. Wild pansy Viola tricolor in Latvia. Below: in Riga. 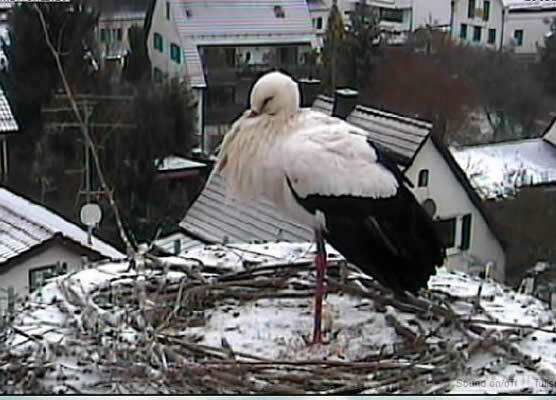 Stork webcam: early June, bad news. The storks near Honeyguiders Karin and Brennan in Markt Schwaben, Germany lost all three chicks in bad weather (not the snow, that was earlier) and the adults have gone from the nest. 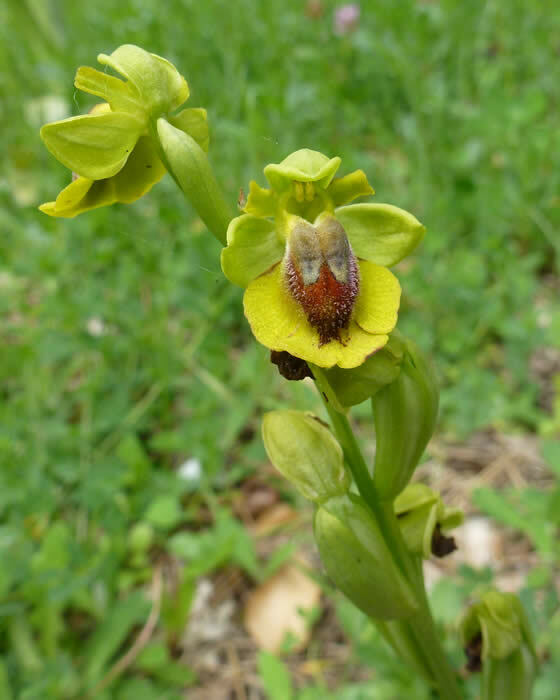 Yellow bee orchid in the Dordogne — common farther south, but a surprise for our 14th group based at Castang. 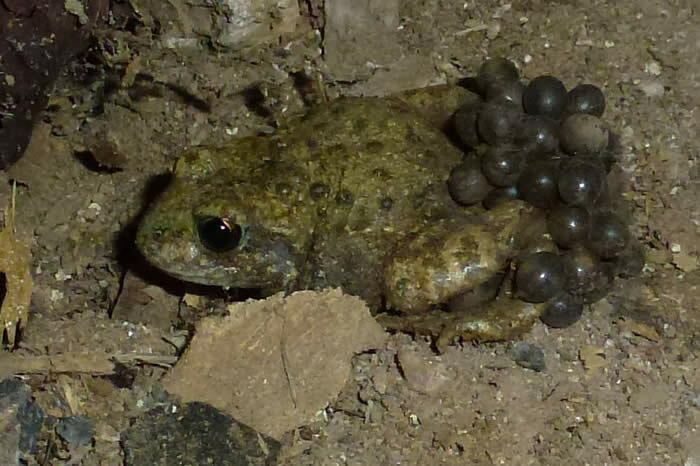 Below: midwife toad. 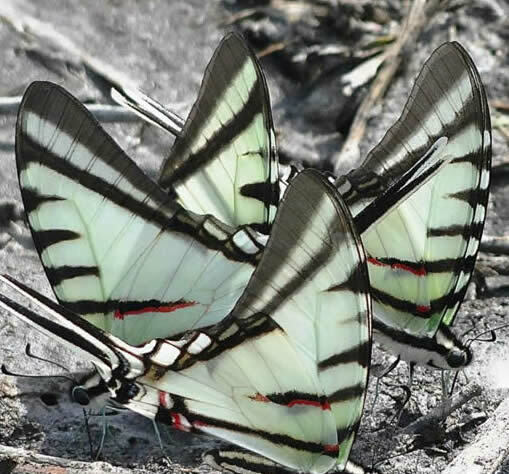 Southern festoon in Istria (Steve Kourik). 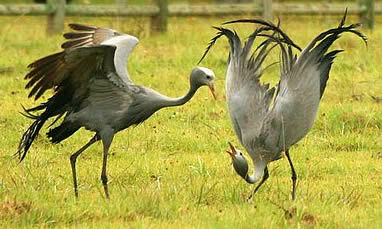 Displaying blue cranes on South Africa's Garden route. 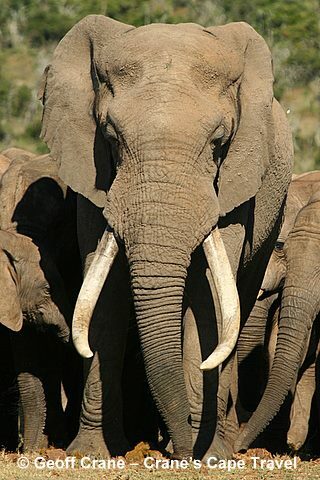 Below: bull elephant in Addo Elephant National Park. Into Apps, visiting the countryside and finding somewhere to eat? 'Walk and Fork' mobile app helps you get the most of a day out in the countryside. 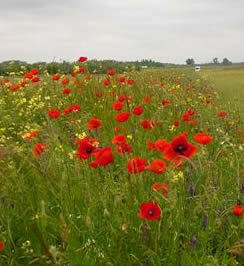 More from Natural England here. Taking tablets? With the main holiday season approaching, now is a good time to advise that that anyone on medication or with a medical allergy (e.g. antibiotics) takes full details on holiday, written so it can be read by a foreign pharmacist. We would prefer to have any information that will help us to help you on the holiday. To make it easy to record medical information, you can download and complete our medical report form, which is on our Travel Tips web page. 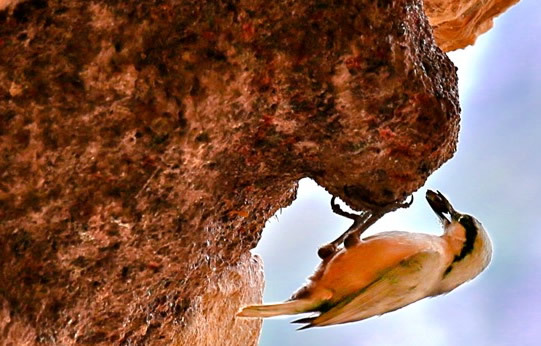 The archaeological site of Mycenae proved a good place to see rock nuthatch in the Peloponnese. 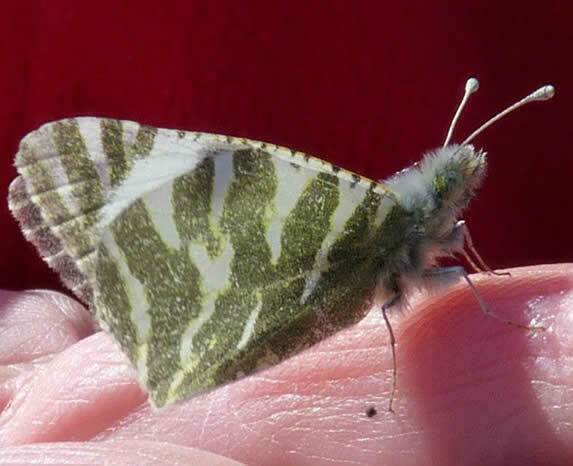 Green-striped white (Brennan Aunger): a migrant butterfly seen near Tarifa. 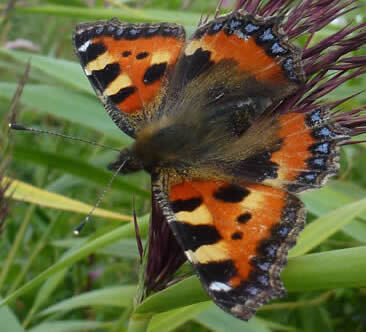 Other butterflies seen on this February holiday included Cleopatra, Spanish festoon and monarch. Carbon offsets have been a feature of Honeyguide holidays since 2006. The project we supported from our most recent carbon credits purchase is reforestation in Kibale National Park in western Uganda. Read more on our Carbon Credits web page. 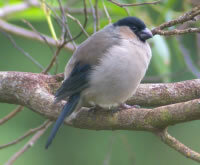 SPEA is asking for help for the Azores bullfinch. 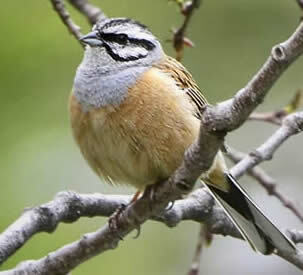 Please see this BirdLife link. There's a terrific quote in the Algarve Daily News story. This is a "unique habitat for birds and vital for the enjoyment of future generations," said a man dressed as a parrot. "The Algarve does not need more hotels, golf courses or holiday accommodation which currently manage occupancy levels of just 55%. 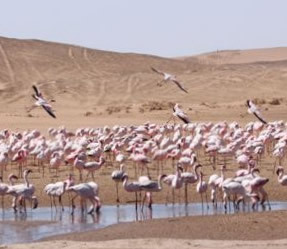 What we really need is an appreciation of this unique habitat and the wildlife that depends on it," reads the petition, which was signed by 20,649 people. Petition delivered by Friends of Lagoa dos Salgados. 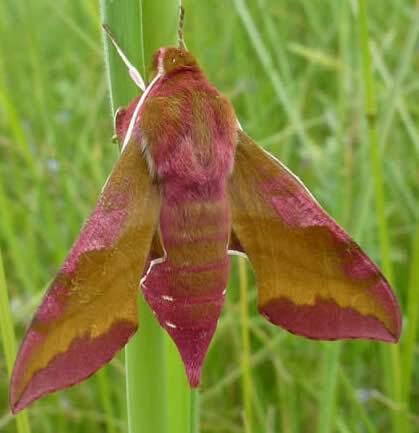 Wildlife Report 2012 for the Norfolk Wildlife Trust's Thorpe Marshes nature reserve here. There's also a link to the NWT's blog where you can read about a surprising encounter last month with snipe and peregrines. Languedoc January 2013 recce, with Chris Durdin, Rob Macklin & Derek Moore. 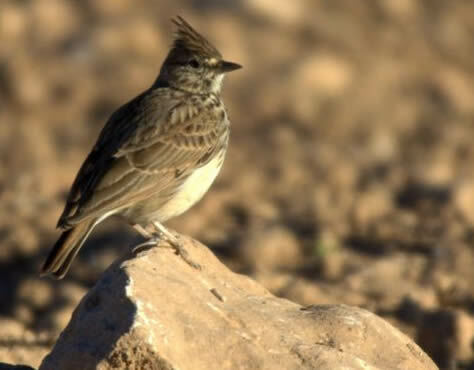 The complete archive of Stephanie Coghlan's Crete Bird Reports 1986-2005 is here. 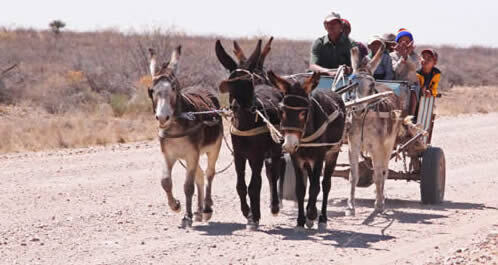 In the winter, they look after wildlife groups in Latin America. 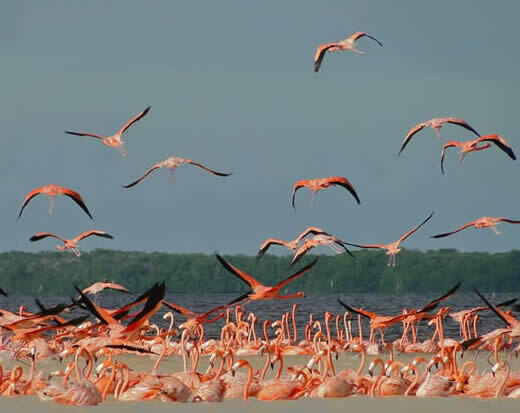 Their pictures of magnificent frigatebirds, pelicans, scenery and other things on the Yucatán peninsula in Mexico are quite something. There's a taster above, and many more can be viewed on their new Facebook page here (which, we were amused to share, they've started at much the same time as Honeyguide — we have a lot in common.) You don't have to sign up to Facebook to enjoy pictures there. They were also able to confirm, contrary to some Mayan rumours, that the world didn't end in late December. Now, there's an exotic location for Honeyguide . . . do you fancy that?